Cedars-Sinai Medical Group will offer increased access to comprehensive falls assessments for Falls Prevention Awareness Day on Sept. 22. Every year, millions of senior citizens fall – threatening their health, independence and even their lives. Fall injuries make up $31 billion annually in medical expenses, which is expected to rise as 10,000 people in the U.S. turn 65 every day. Research shows that effective interventions reduce the frequent falling rate of older patients by 30 to 40 percent. 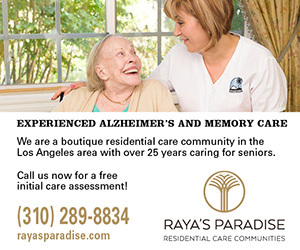 To schedule an assessment with a geriatrician at Cedars-Sinai, call (310)385-3511.